Yep, today was the day! 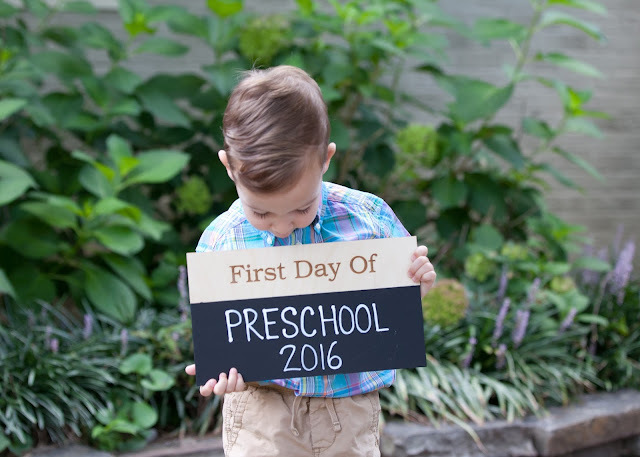 My sweet baby boy started preschool! As I wrote a couple weeks ago, it was time. He's three-and-a-half, and had never been to any sort of activity or program without me present. Our choice to start him in preschool was more to expose him to the social benefits, rather than the academic component which he seems to pick up all on his own, being the curious little guy that he his. 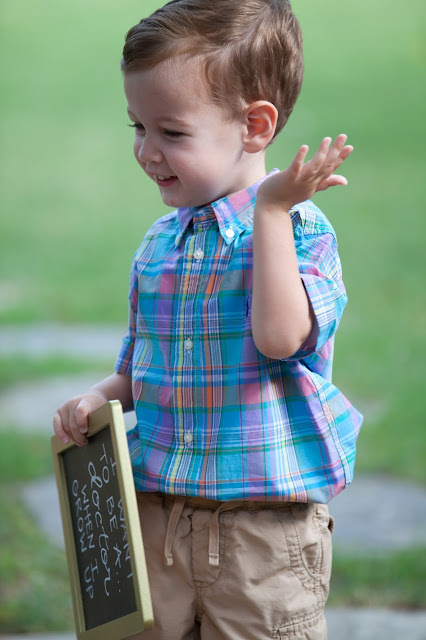 However, preschool would be his first introduction to the idea of an academic setting, and I so wanted the introduction to be a positive one. Max and I both highly value education, and we've both even spent time on the teaching side (Max holding a position as a lecturer at Stanford and me in my almost ten years as an elementary classroom teacher). 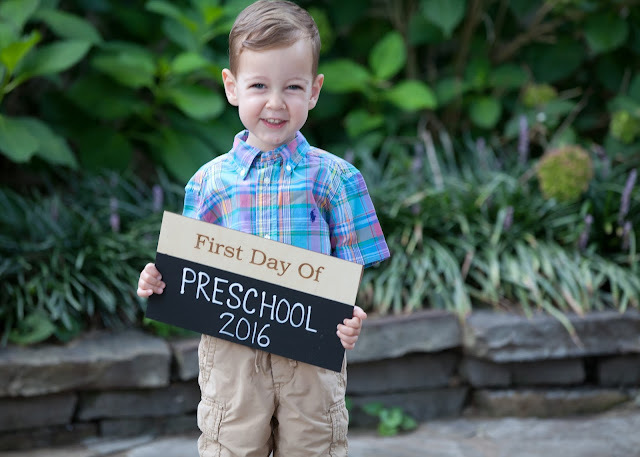 What we hope, of course, is that Parker starts a lifelong love of school this year (he's already in love with learning, sweet guy). 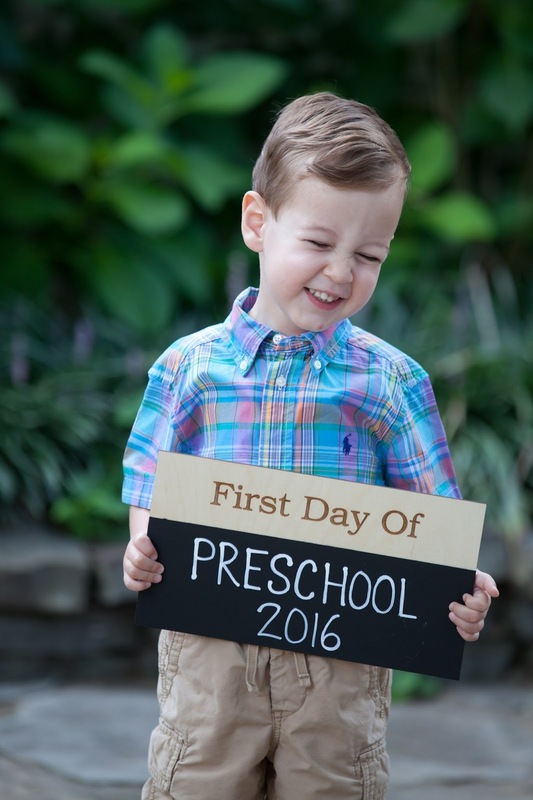 After all our talking and prepping, little man was pumped about the idea of school. The night before when putting him down to bed, he requested that I say: “Sweet dreams. See you in the morning. See you when it’s your school day.” Then he did a happy laugh, as in I'm so excited to go to school. I’m excited about the food section with the microwave (the role-play section of the classroom). Little Blue Truck Halloween (also his newest... and yes, I have no shame, we are reading fall books in August). A dentist (his answer of the past year)... no, a doctor (this was new). 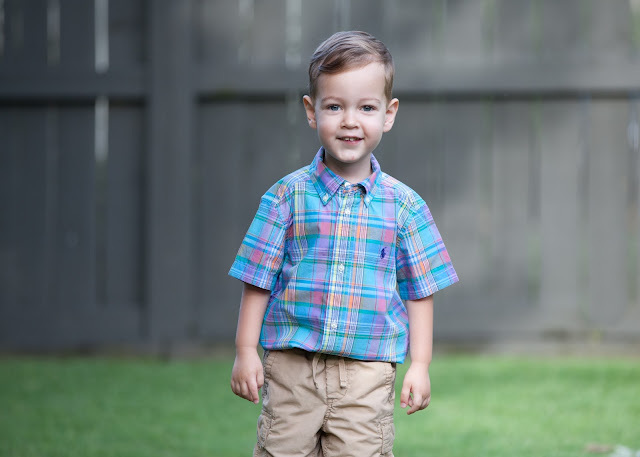 Up until this point, we have been in almost complete control of what Parker was exposed to... ideas, words, emotions... so the fact that we won't be at preschool to edit the content of what he's presented with, it's scary. And it's just three hours, three days a week. Baby steps. Parker woke up happy and excited this morning, and my heart was so happy for him. 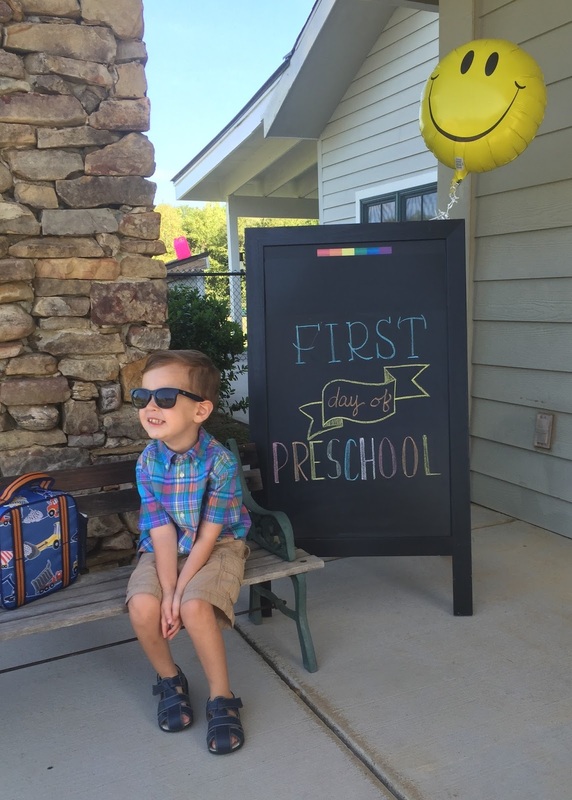 His sweet school had a first-day photo-op set up outside. Darling, right? We entered and Parker's teacher was waiting for us in the lobby where we had been instructed to do our quick and happy good-byes. He chatted while he put away his lunch box, and informed his teacher that his Mama would be back to pick him up at eleven thirty. Then it was good-bye time, and as soon as we embraced, he held on and started to cry. Oh, my heart! I stuck to my quick and happy good-bye as his teacher took him by the hand and led him into the classroom, promising me that he'd be fine. As for this Mama, no tears on my side! 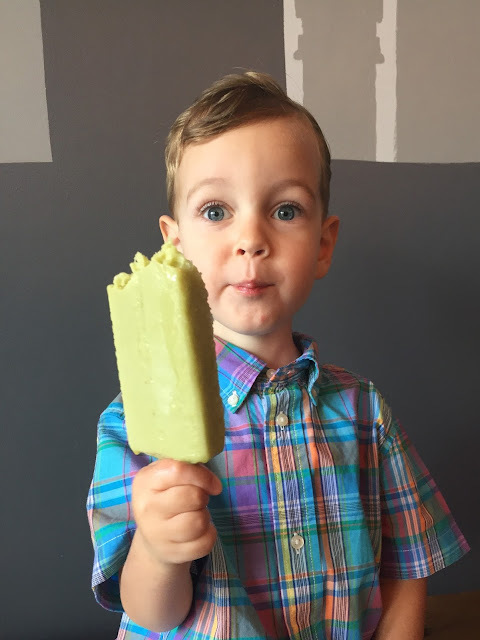 I took advantage of the free morning and attended a Pure Barre class, followed by a smoothie bowl and solo grocery shopping... but I was still back in the parking lot twenty minutes early, so excited to hear about Little Man's day. Sweet Guy ran up to me when it was time and gave me the biggest hug ever. His teacher said he was so smart, and was a star at calendar and did really well with numbers. She also said he needed some prompting to join the group each time they changed activities (hoping this gets easier as time goes on and he gets more practice). Oh what a mommy you are!!!! 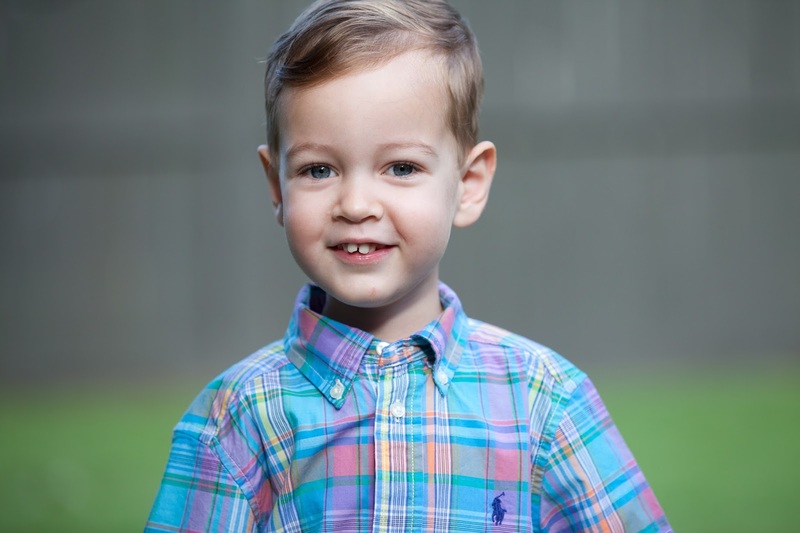 I can't believe he is starting preschool already. Such a cute little guy!! Aw, he is such a little man! SO CUTE. I am cracking up over his Stanford comment. He sounds like a grown up! And good for you for having some time to yourself instead of sitting at home and crying. I'm all for ME time! Oh my goodness, Parker looked SO adorable for his first day of preschool. 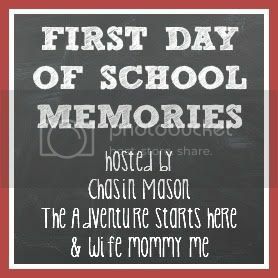 So glad he was excited for it and had a wonderful first day. Mila’s been in a daycare setting all her life, but she starts preschool in 2 weeks and we’ve been hyping it up as much as we can and she’s excited to start as well. I’ve never had experience teaching and don’t really know what to do when it comes to teaching a toddler/preschooler, so I am so thankful that we found a daycare/school that is so focused on learning. I’m right there with you - a good education is HUGE in my book. 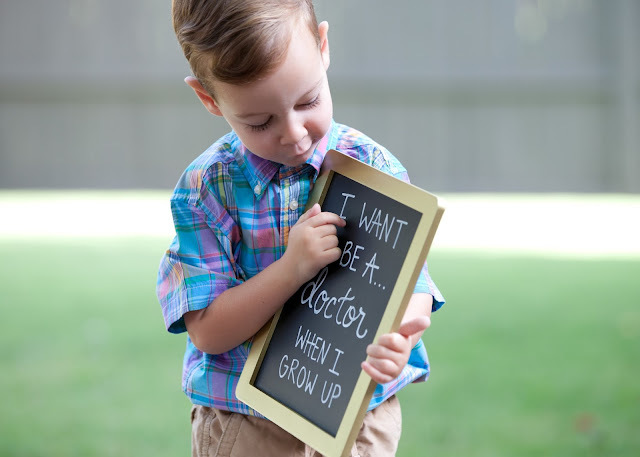 Parker is so smart already though - you are a fabulous teacher! Love his interview! He is such a cutie. He is such a smart little guy and will do great in preschool! He is SO CUTE! And I love the little question/answer sesh. All the "firsts" are so hard, but he will do great!